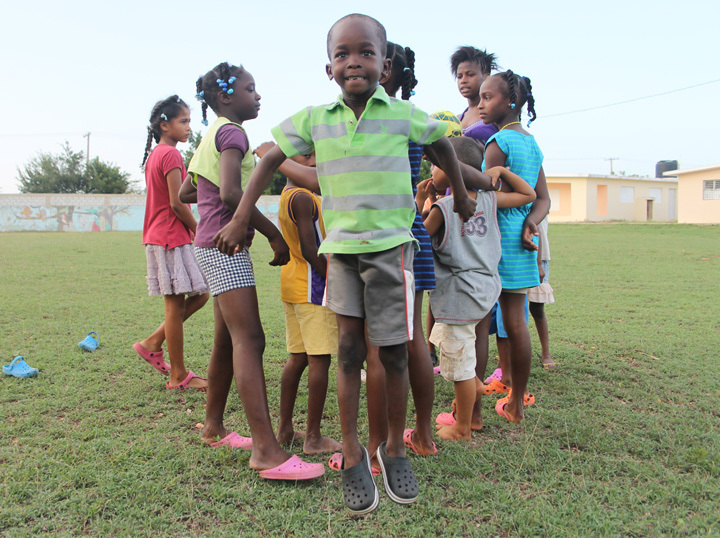 Join us for a one-week immersion trip to our NPH home in the Dominican Republic. Experience firsthand how NPH USA transforms the lives of children! You will meet the amazing children, staff, and volunteers of NPH and learn about their daily lives. Whether you are new to NPH, or a longtime supporter, visiting our homes is the best way to see what we do in action. We will have the unique opportunity to stay at the NPH home with the children, in a newly constructed visitor’s house. This will allow us to immerse ourselves in NPH life with the children. While the children are in school, you will build a home in the local community in an area of extreme poverty. Relax or hang out with the pequeños in the afternoons. We will coordinate activities with the different age groups throughout the week. Additionally, you will have the opportunity to meet with the leadership of the NPH home, tour all of the home’s facilities, and hear “talks” from some of the children. Note: An NPH USA chaperone will lead and oversee all travelers throughout the duration of the week. All chaperones are background checked, and are experienced volunteers. Opened in 2003, NPH Dominican Republic is located 40 miles east of Santo Domingo, the nation’s capital and largest city. Casa Santa Ana was constructed from 2004-2005 and has small group homes, each with its own kitchen and garden. The site is currently home to more than 200 children and also has a primary school, a farm, a clinic, a church and sports fields. *Price does not include airfare, outside meals or optional attraction costs. Fundraising option for trip cost available. Registering a family of three or more? Contact us for family discount rate. For more information, please contact Elizabeth Caletka at ecaletka@nphusa.org or call (617) 206-4940. Registering a family of three or more? Contact us for family discount rate. You may pay the deposit and balance at the same time, or pay separately by dates indicated. I choose to fundraise my trip cost. All sizes are Adult. Enter quantity under size. Please enter name as it appears in passport and date of birth for each traveler.